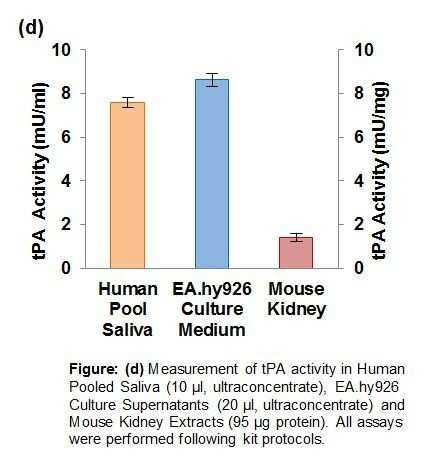 Tissue Plasminogen Activator (tPA) Activity Assay Kit (Colorimetric) | K178 | BioVision Inc.
tPA Activity Assay Kit (Fluorometric): Quantitative 96-well plate format assay of tPA activity in biological samples. Simple & Sensitive; Includes active tPA as positive control. 100 reactions. Tissue plasminogen Activator (tPA, PLAT or tissue-type plasminogen activator; EC 3.4.21.68) is a serine protease that is found in blood & some tissues. tPA is the major intravascular activator of plasminogen. Thus, tPA is a key enzyme and the primary initiator of fibrinolysis in the vascular system where it plays an important role in the breakdown of blood clots. tPA has therapeutic uses and it is known as the “clot buster” in clinical settings. High tPA activity in blood leads to hyperfibrinolysis and causes excessive bleeding; while low tPA activity leads to hypofibrinolysis, a condition that increases patient’s risks of suffering an arterial thrombosis. 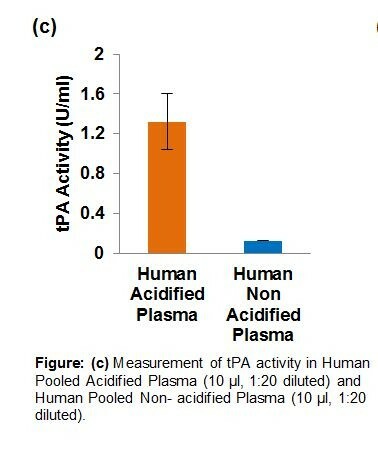 BioVision’s Tissue Plasminogen Activator (tPA) Activity Assay Kit utilizes the ability of active tPA to hydrolyze the synthetic substrate releasing pNA (chromophore). 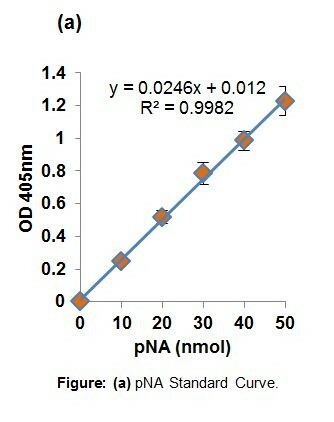 The released pNA can be easily quantified by OD: 405 nm. Our kit uses a unique combination of Substrate and Inhibitor Mix that specifically detects tPA in a variety of Biological Samples. Other enzymes with similar catalytic properties [i.e. 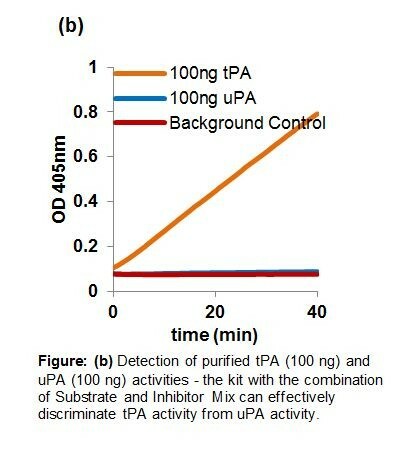 uPA (urokinase or urokinase-type plasminogen activator)] do not interfere with the assay. Our assay kit is simple, specific and can detect as low as 5 µU of tPA activity.